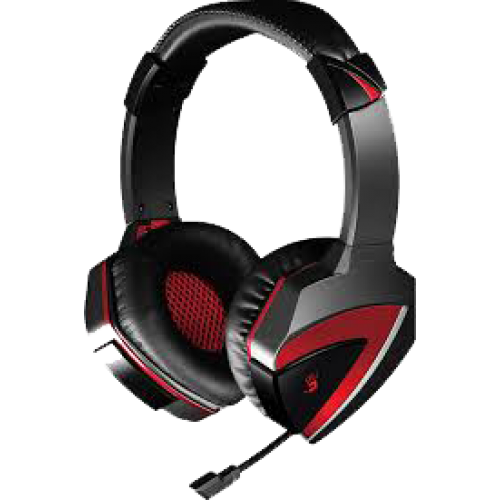 Bloody's innovative, unique G501 7.1 gaming headset with sound-to-location recognition technology offers [Smart 360 Gaming], [2.0 Audio-Enhanced Multimedia], [7.1. Surround Sound] - three functions within one module. Provides excellent sense of coverage, superb live experience, and precise sound-to-location recognition technology. G501 is the world's first sound-to-location recognition technology gaming headset. Used in conjunction with [AudioMate] professional audio effect software, users can adjust the sounds of "footsteps, cocking a gun, loading ammunition, and shooting" as desired. This gaming headset assists players in locating their enemies on the field via the amplifying of sounds of "footsteps, cocking a gun, loading ammunition, and shooting". The unique, patented 5-section live sound control technology allows players to gain the upper hand over their enemies. Real-life sounding, moving, shocking sound effects offered during the release of various techniques and spells in MMOGs; blood-boiling sound effects of the roaring of race car engines in extreme car racing games. Other game-specific sound effects available; users can switch and choose between 5-interchangeable sound sections when playing live. G501 is not your average Joe gaming headset which puts up more claims than actual effects. It is specifically catered to the professional needs for the gamer. Innovation and unique creation was what went into the project; despite a seemingly unending wait, Bloody's gaming headset is now available as the ultimate answer to gamers' call for endless gaming fun! This is also Bloody's honor and goal! HEAR YOUR ENEMY BEFORE YOU SEE THEM Our stereo and surround sound headsets are engineered to ..